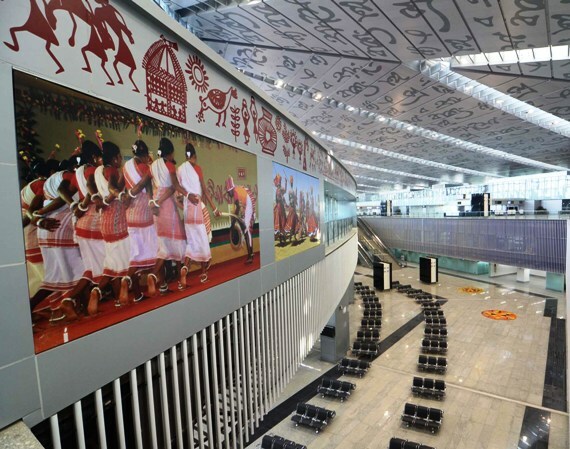 The new integrated terminal building of the Netaji Subhas Chandra Bose International Airport in Kolkata has been awarded for ‘Excellence in Built Environment 2013’ by the Indian Building Congress. 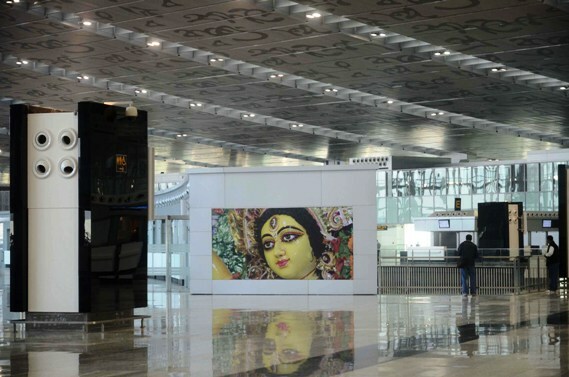 Image: An image of Goddess Durga embellishes the wall of the new Kolkata airport. The airport has also won the IBC trophy for the project, a statement by the airport director said in Kolkata on Thursday. "The new integrated terminal building has been widely appreciated for its creative architecture, cultural-in-build aesthetic, built environment and passengers' friendly state-of-art Terminal Building in Eastern India," the statement said. Image: The new Kolkata airport. While the walls are beautified with photographs of traditional folk dances of Bengal, the roof carries lines from Rabindranath Tagore's works. Union Minister Girija Vyas presented the award to B P Sharma, city airport director, at a function organised by the IBC under the aegis of Ministry of Urban Development on February 7 in New Delhi. 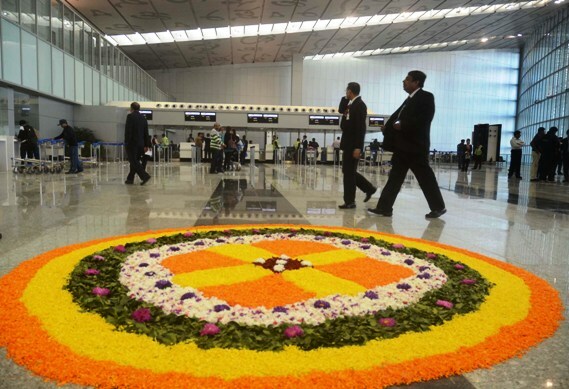 Image: Floral decoaration adorns the new Kolkata airport.